I’m excited to join Veritas in this venture to provide a much-needed resource to families in the area so patients with eating disorders can quickly be assessed and access the specialized care they need. 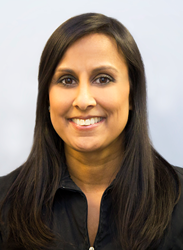 Veritas Collaborative, a specialty hospital system for the treatment of eating disorders, today announced that Dr. Preeti Matkins has joined its team as the organization prepares to expand to Charlotte, North Carolina. Matkins joined Veritas on Nov. 13 and will oversee the organization’s new clinic, which is scheduled to open spring 2018. The clinic will offer outpatient medical services for children, adolescents, and young adults with known or suspected eating disorders including anorexia nervosa, bulimia nervosa, and binge eating disorder. Prior to joining Veritas, Matkins was the medical director at Teen Health Connection, the director of adolescent medicine at Levine Children’s Hospital, the medical director for The Center for Disordered Eating at Teen Health Connection and the assistant program director of the Pediatrics Residency at Carolinas Medical Center. She also served as a professor of pediatrics at Carolinas Medical Center and remains on staff as a clinical associate professor of pediatrics at the UNC School of Medicine. Matkins earned a bachelor’s degree in chemistry from the University of North Carolina at Chapel Hill and completed medical school at the top-ranked UNC School of Medicine. Matkins is a member of the Academic Pediatric Association and a fellow of the Society of Adolescent Health and Medicine and the American Academy of Pediatrics. Veritas Collaborative is a specialty hospital system for the treatment of eating disorders. Providing a range of services for individuals of all ages, Veritas offers inpatient, acute residential, partial hospitalization, intensive outpatient, and outpatient levels of care. Delivering individualized, evidence-based care in a gender-diverse and inclusive environment, Veritas envisions a world in which all persons with eating disorders and their families have access to best-practice care and hold hope for a cure.